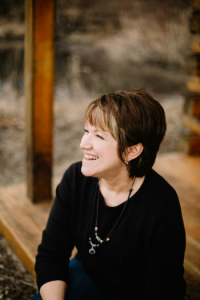 If you were given the chance to write the ending of your life story, what would it look like? What would you be doing in your last days? My Dad would be working. That’s right — working. Dad loved to work and held so many different jobs throughout his lifetime that he and I wrote a little book about it. We called it One Man’s Work and published it through a local printer. We’ve sold or given away almost all the copies of that book over the past six years, though we never did get around to writing an ending. Dad was an artist; he still is in his heart and mind. If Dad could paint a picture of his life in these waning years, he wouldn’t be happy with the outcome. 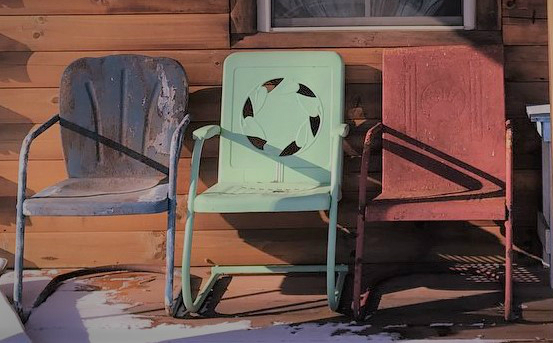 Where there should be a meadow with a beautiful mountain in the background, he’d have to paint wheelchairs and small dinner tables where grey-haired guests wear bibs. He’d probably sketch in pretty nurses, but they wouldn’t be faces he’d recognize. I’m sure Dad pictured himself leaning on a hoe in his garden when the Lord called him home. Or, painting a sign for one of the parks he helped develop in my hometown. Maybe mowing the cemetery grounds, a job that he declares was his favorite. Or, just riding around in a golf cart, stopping to hit a few balls and chat with his friends. Dad’s still waiting for God to write the ending of his life story. I’m certain the one he’s living isn’t the ending Dad would choose for his little book. Instead, I think he’d want to leave it just as it is, so that we’d remember him as a draftsman, a mailman, a groundskeeper and an artist. And, he’d want us to remember him working. I wrote for five quick minutes today on the one-word prompt “story.” I’ll do my best to write each day this month on other one-word prompts. Honestly, this isn’t the post I had planned, but it’s the one God had planned for my day. Dad fell at the nursing home yesterday and spent the night in the hospital. At 89, his body is starting to give out and we’re making plans for extra nursing help. He’s not giving up and he’s fighting to write a graceful end to his story. I’ve no doubt he will. 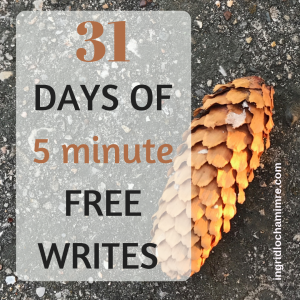 For more essays on the word “story” drop by Five Minute Friday or visit Write 31 Days to jump in on the challenge to blog every day in October. 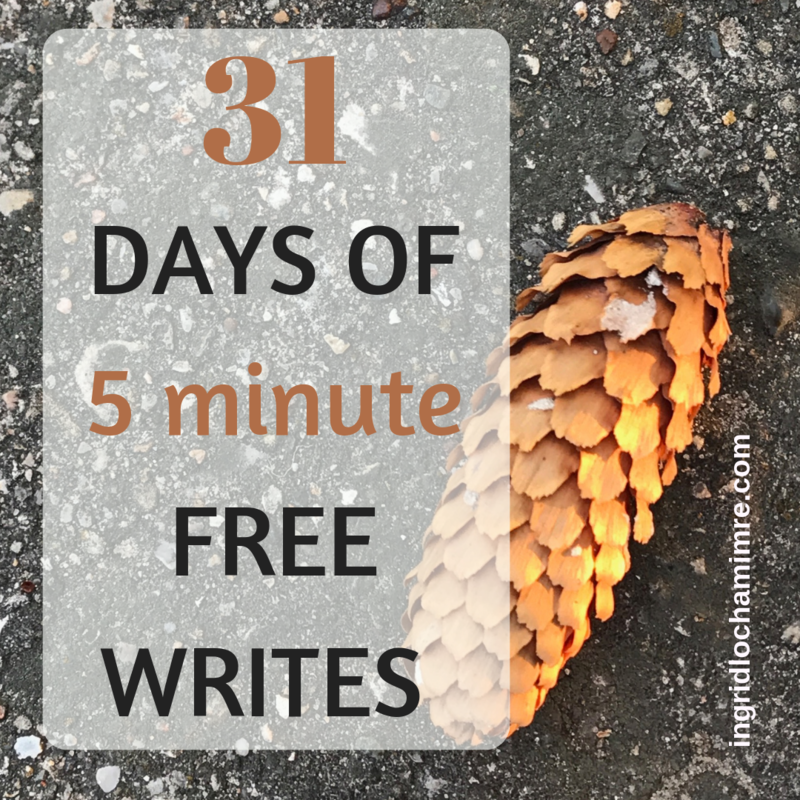 To read all the posts in order, drop by my Write 31 Days page here. Your dad sounds like a hard working man.